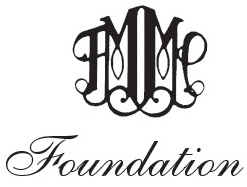 The Johansen International Competition for Young String Players Ages 13–17 (JIC), established in 1997, is sponsored by the Friday Morning Music Club Foundation. The JIC is made possible through the generosity of a Charitable Trust established by the late Anna Storch Johansen of Falls Church, Virginia. Mrs. Johansen was a violinist and a Life Member of the Friday Morning Music Club (FMMC). She wanted to encourage young musicians with significant prize awards at a time when they need it most and when they must make decisions about whether to continue with their dedication to music. The JIC takes place once every 3 years. The next competition will take place in March 2021, in Washington, DC. Please direct all questions regarding the application process to johansencomp@gmail.com. Judged by top professional string players, the JIC is recognized as a prestigious international competition for gifted young string players. Our past winners have gone on to continue their musical studies, compete in additional competitions, and move into established professional careers. Some of the honors JIC participants have achieved have included prizes and awards at competitions such as the Indianapolis Violin Competition, the International Tchaikovsky Competition for Young Musicians, Young Concert Artists International Auditions, the Avery Fisher Prize, the Tertis International Viola Competition, and the Queen Elisabeth Competition, and positions in major U.S. and European orchestras, including the Chicago Symphony, the Los Angeles Philharmonic, the Dallas Symphony, the Toronto Symphony, the St Paul Chamber Orchestra, the Philadelphia Orchestra, and the Bonn Beethoven Orchestra. The Johansen International Competition and the FMMC Foundation welcome donations to help support this worthwhile project. Click on the Donate button below to make your tax-deductible donation using PayPal.